The field of dentistry is constantly evolving, and our team prides itself on staying on the leading edge of advancements in dental technology. Advanced technologies and techniques, including digital X-rays, photographs, and even one-visit crowns allow us to provide you care that is as efficient and effective as possible while keeping you comfortable and maximizing your time in the dental chair. 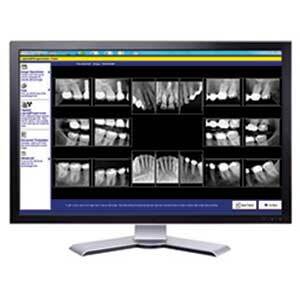 We use digital X-rays to get closer looks at your teeth and jawbone. Digital X-rays and digital panoramic X-rays are vital to early detection and diagnosis of potential problems, meaning we’re able to begin treatment sooner and prevent bigger problems. Digital X-rays emit up to 90% less radiation than conventional X-rays. All patients, including children and pregnant women, can safely receive digital X-rays. No sharp, uncomfortable X-ray film needed. Images are available within seconds because no chemical processing is needed. 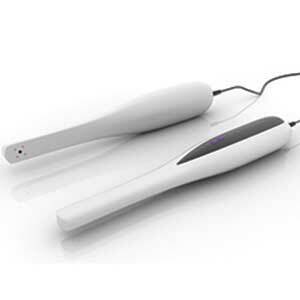 Our intraoral camera allows you to see what we see when we look inside your mouth. It’s a vital part of the patient education that our team is so dedicated to. We use the cameras to take photos of your mouth to show you decay or other damage, walk you through your diagnosis, and answer questions or concerns about your treatment options. Call us today to find out more about our digital technology. With CEREC, Drs. Sandras and Terrebonne can design, make, and place dental crowns in just ONE office visit. Using a special camera, we take several images of the tooth in need of the crown. Working from those images, we digitally design a restoration that we mill right in our own office. The computer-aided milling process is extremely precise, ensuring a natural-feeling fit when we bond the newly-made crown to your tooth. Your one-visit crown will feel and look as good as your natural tooth, if not better! 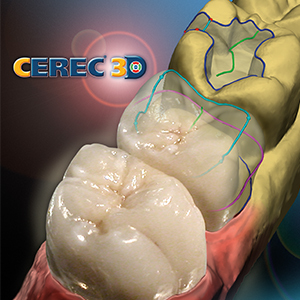 Learn more about CEREC and its benefits by contacting us today. Drs. Sandras and Terrebonne use a soft tissue laser in a number of treatments, including cosmetic gum recontouring to correct a “gummy smile” and treatment of periodontal disease. Many stages of gum disease can be treated with a soft tissue laser, meaning you may not need more invasive scaling and root planing. Contact our team today to learn more about our technology.